Time for a wee midweek game. 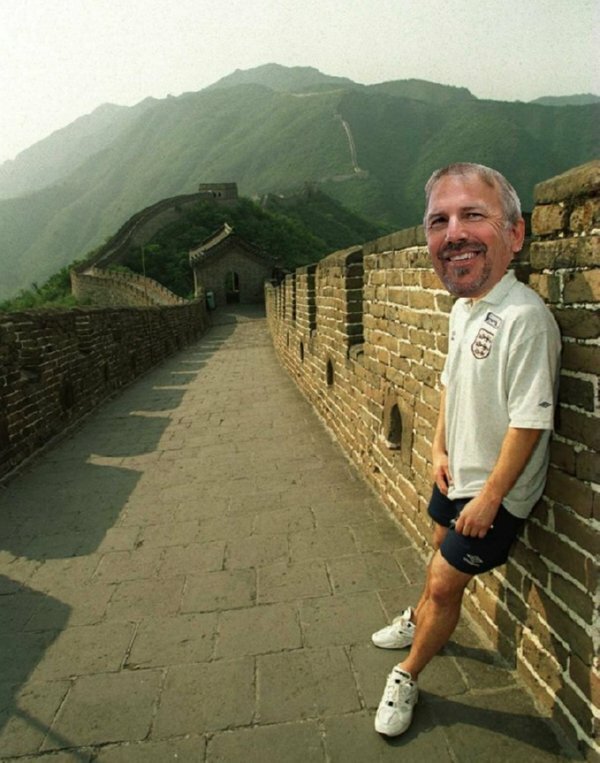 For nowt but shits and giggles, can you identify the (1996-era) England man taking in the Great Wall of China while secluded by the great Sunkmanitu Tanka Ob Waci himself? Congrats to Roarz who was the first person to correctly root out football’s only binary pundit. Reckon it’s big Dave Seaman!